Conduits are drilled in the logs for electrical wiring. Logs are mortised to receive electrical boxes, outlets, switches, walls, ect. Window jams installed & ready for windows & finish trim. Log stairs & railings are built. Corner and lateral notches are insulated. Log roof system with milled flats ready for SIPs or conventional roof framing. Finely sanded window bevels, log ends, and curves. Once the shell is complete, we disassemble for transport and reassemble on your foundation, which is built ahead of time, in 3-10 days. At this point it’s ready for finish carpentry, electrical, and plumbing. While we specialize in building log shells, a lot more goes into constructing a home such as the foundation, roof installation, and finish carpentry. As experienced builders we can oversee everything needed to turn a rough patch of land into a sanctuary. With your interests in mind, we can work with your local contractors or hire our own and offer advice and resources every step of the way. 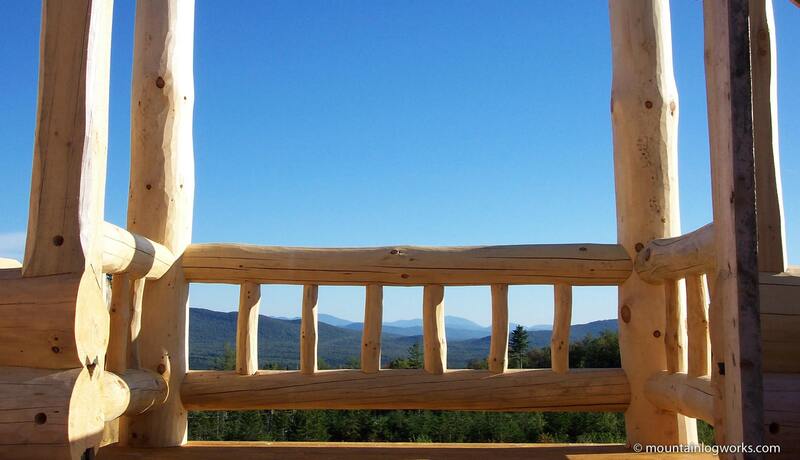 Of course we also offer stone masonry services since stonework beautifully compliments any log structure. There are few restrictions when it comes to building with logs. Whether you want to improve the atmosphere of your home with a gnarly staircase or add an exotic sauna to your backyard, we can craft you something that is truly one of a kind. 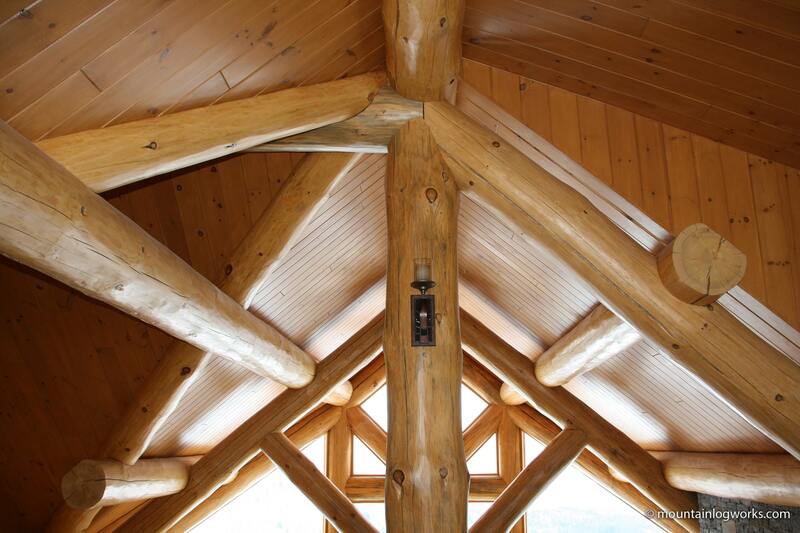 We can even combine a log structure with more conventional methods of building. 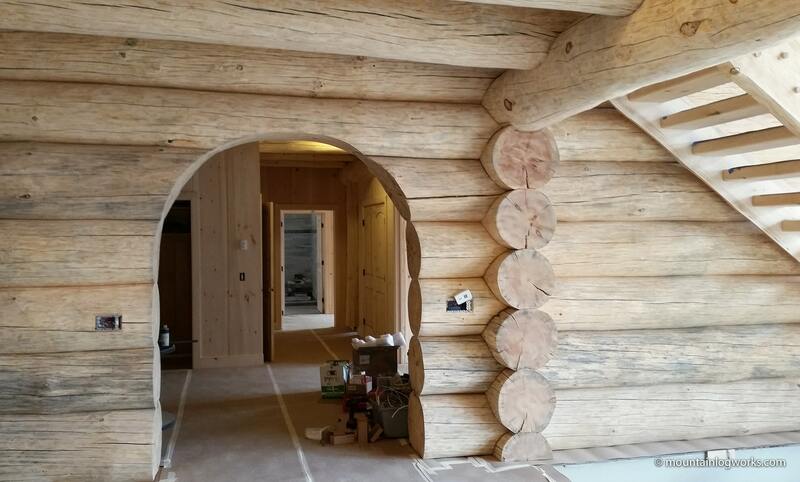 Hybrid style garages compliment log homes which utilize round log timber-frame construction with conventionally framed walls in-between the log posts.